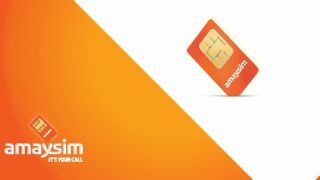 After giving customers a taste of the possibilities of a 4G network last month, Amaysim has decided to fully stuff its customers with the benefits of LTE by adding extra data to plans with no additional cost. From today, all current Amaysim customers on the Unlimited 6GB, Unlimited 4GB and Unlimited text 1.5GB plans will receive extra data, without needing to do anything whatsoever. Those on the 6GB plan will get a boost up to 7GB, while 4GB customers can now enjoy 5GB of data as part of their plan. Meanwhile, the Unlimited Text 1.5GB plan will become the Unlimited Text 2GB plan. The best part of the new data deals is that they are permanent and require no extra cash from customers, meaning the 7GB plan still costs $54.90 a month, the 5GB plan costs $44.90 a month and the Unlimited Text 2GB plan will set you back $29.90 a month.